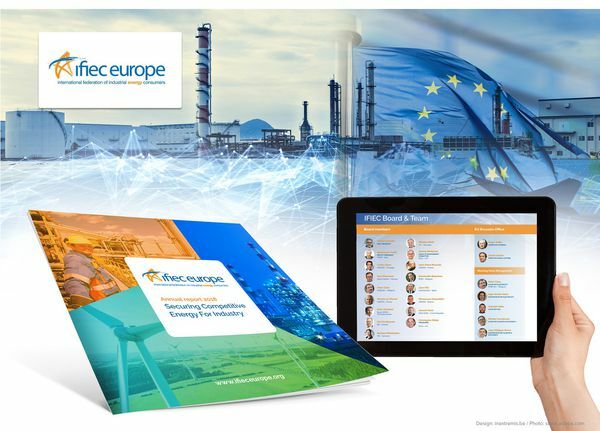 IFIEC Europe represents the interests of industrial energy users in Europe for whom energy is a significant component of production costs and a key factor of competitiveness in their activities in both Europe and throughout the world. The IFIEC Europe application for an own stakeholder workshop at EU Industry Days 2019 (5-6 Feb. 2019) has been approved by the European Commission! The workshop titled “Energy Intensive Industries – Innovating for a sustainable future” takes place on 5 February and will focus on energy intensive industries and their efforts in decarbonising in the context of the latest EU climate policy developments. 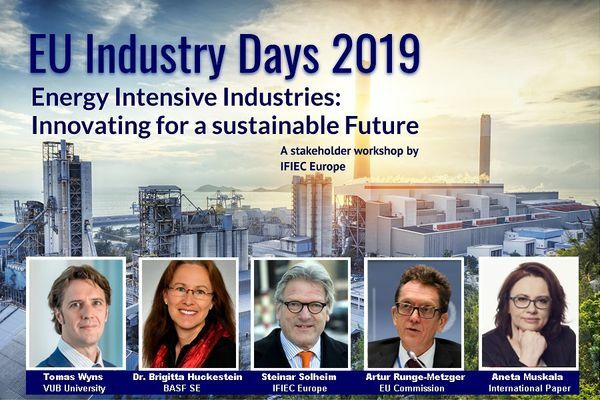 EU Industry days is a yearly two day conference sponsored by the EU Commission and attended by over 2000 stakeholders, including speakers such as Commission President Jean Claude Juncker and European Parliament President Antonio Tajani. The full programme can be found here. The new IFIEC Europe 2018 Annual Report is available in print and digital format. The digital version will be uploaded onto the website during the first week of February 2019. Thank you to PageInextremis for the great job done! The IFIEC Energy Forum on 15-16 May 2018 brought together the Energy intensive industries community and was joined by EU Commission Vice President Jyrki Katainen, Member of the European Parliament Julie Girling, Bulgarian Council Presidency Minister for Energy Zhecho Stankov, EPC Chief Economist Fabian Zuleeg, DG ENERGY's Florian Ermacora, DG CLIMA's Damien Meadows and many others. Thank you to everyone for their contributions and for making it a special event!